Though many will be able to remember the old railway station on the site of the current one, this was not the original Burton station. 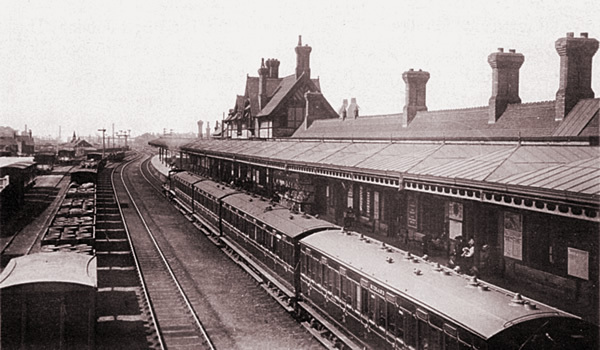 It was in fact opened in 1883 to replace the first station opened in 1839, further up the line at the very end of Station Street (then Cat Street). At the same time, the new Station Bridge was built prior to which, there was only a foot crossing between Station Street (Cat Street) and Borough Road where the new Saint Paul’s Institute and Liberal Club had recently been opened (later to become the Town Hall). The number of lines was also quadrupled to cater for much greater needs.